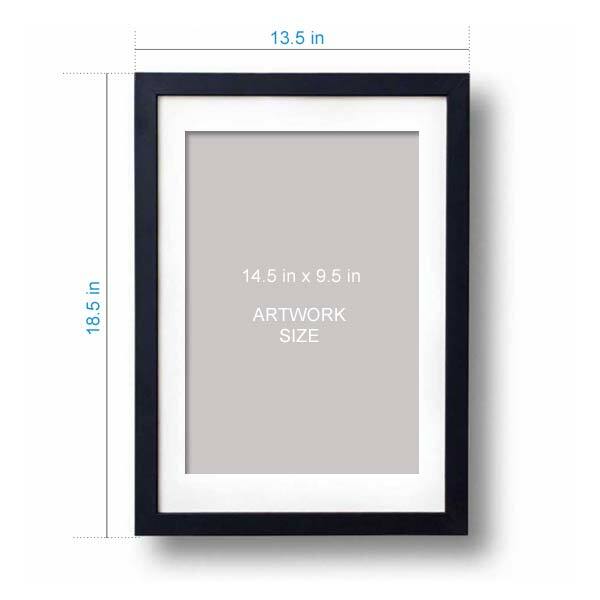 Add this creative wall art caricature photo frame in your collection. 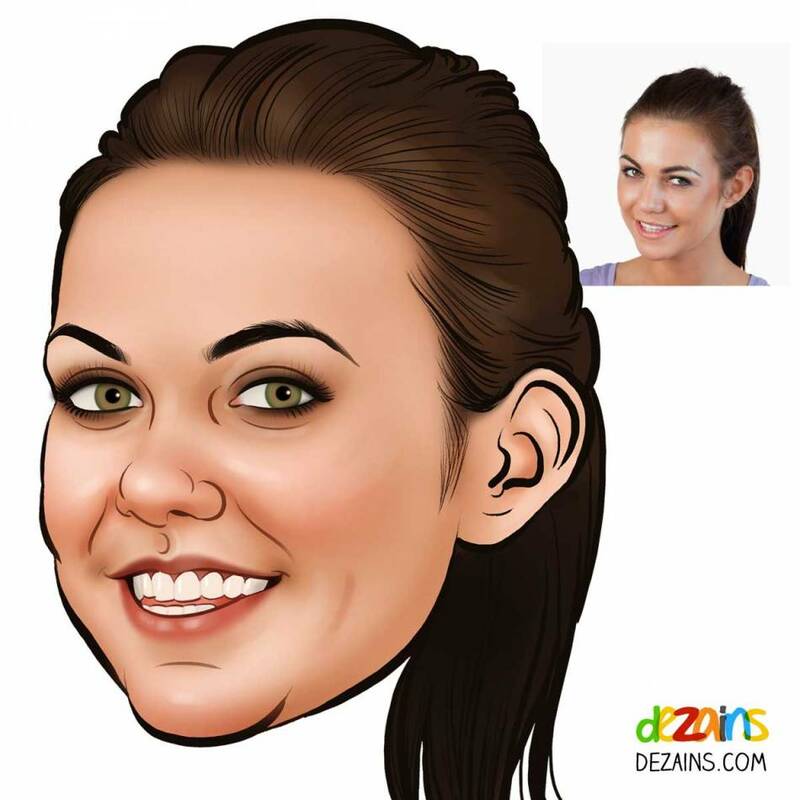 You and your partner's caricature face will be drawn by professional artist. Add a beautiful soul touching message, to make this the perfect gift for your wife/girlfriend. In this design, couple can be seen riding a private yacht and on a world tour. 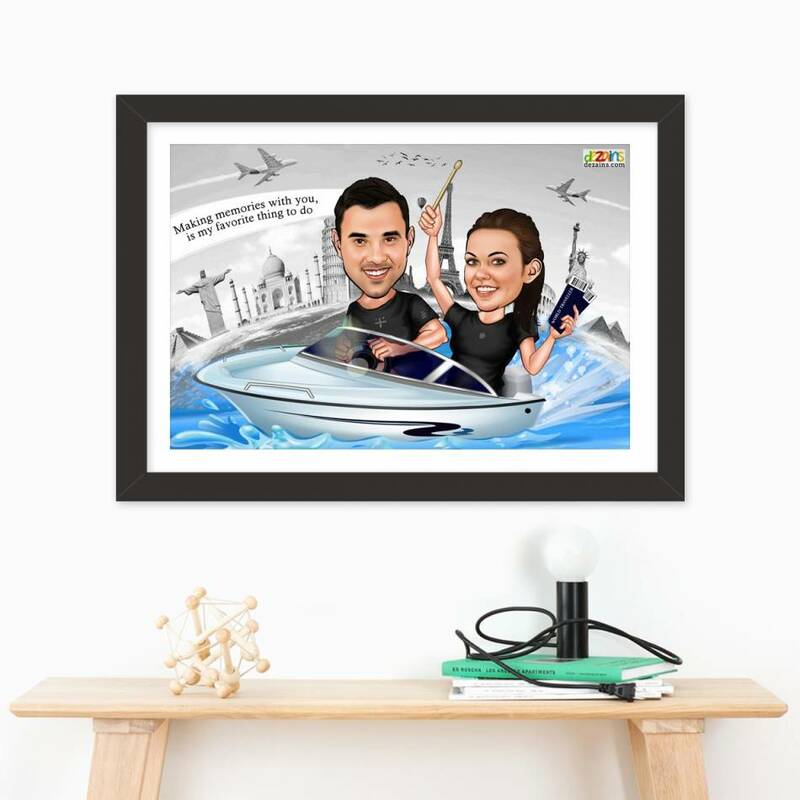 The artwork shows the outgoing nature of the couple, couples who love to travel, and together they want to see the world. In the background iconic monuments of the world can be seen.